The Russian leader Vladimir Putin sent a holiday letter to President Donald Trump, in which he Moscow is ready for dialogue on a broad agenda, the Kremlin said in a Sunday statement. Putin "stressed that relations between Russia and the US are the most important factor in ensuring strategic stability and international security," the statement added. The Kremlin described the letter as "Christmas and New Year's greeting," sends one of many Putin each year. One year ago, Putin wrote to Trump in his vacation message, looking for a year of "cooperation" between the two countries. The past 12 months have been marked by the intensified scrutiny of the investigation by Special Prosecutor Robert Mueller regarding the interference of Russian elections, Trump's significant deviations from the recent US foreign policy in the Middle East and the Middle East, Europe renewed focus on Putin – and notably the remarkable summit in July and the subsequent press conference between the two leaders in Helsinki. The US also expelled Russian diplomats and imposed a series of sanctions against Russian officials over the poisoning of former spy Sergei Skripal on British soil. In a separate letter to Syrian President Bashar al-Assad, Putin promised continued assistance to the Syrian government and people in the "fight against terrorism." 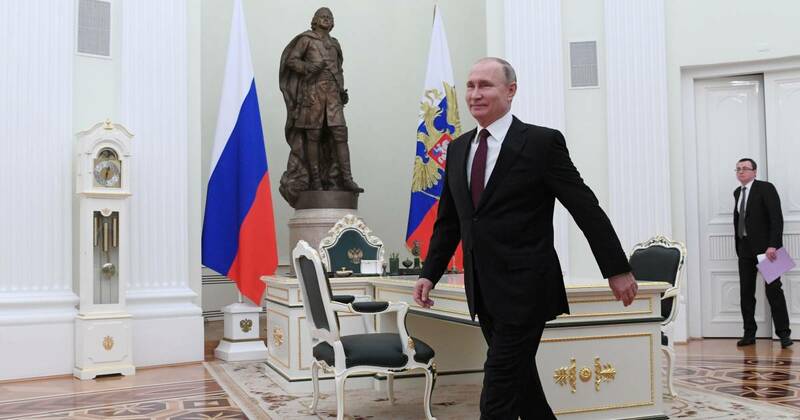 Putin also sent New Year's greetings to world leaders, including British Prime Minister Theresa May and Japanese Shinzo Abe, and Chinese President Xi Jinping.